My love for mutton is quite known. I keep looking for new things to try with mutton. I had made this list of mutton dishes on my To-Do, but ultimately I cooked up this classic Kashmiri Rogan Josh. 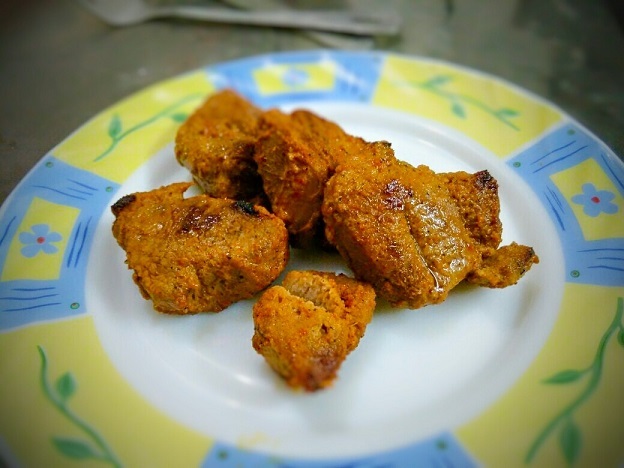 Rogan Josh is traditionally cooked in yogurt and other spices but what I have tried here is Rogan Josh without yogurt. The typical color of Kashmiri Red chilli powder or Degi Mirch gives it a lovely intense red color from which it gets the name Rogan and Josh is the passion that red color derives, that is Rogan Josh in true sense. If you look at the this amazing dish, you will see red color oozing out. The typical spices used in Kashmiri cuisine like Ginger powder and fennel powder really give that different taste to otherwise North Indian taste buds. It is also a thin gravy though you can have the gravy as you like it, thin gravy just makes it easier to have with rice. 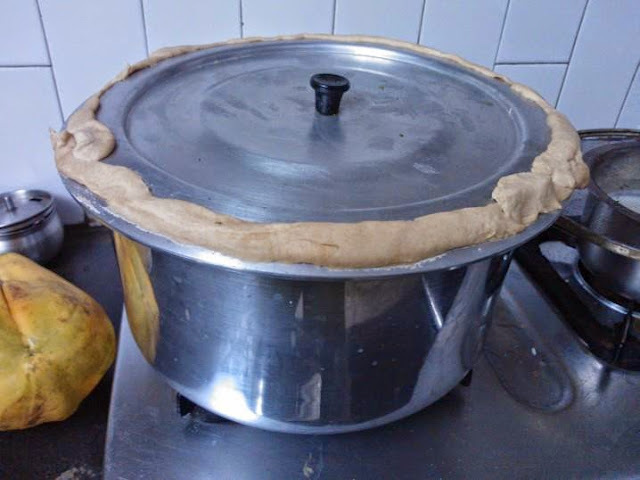 Let me just take you through the recipe before you start slurrping if you are already not. 1 Kg Mutton with bones. 1 table spoon Fennnel powder or Saunf powder. Half table spoon Ginger powder or Saunth. 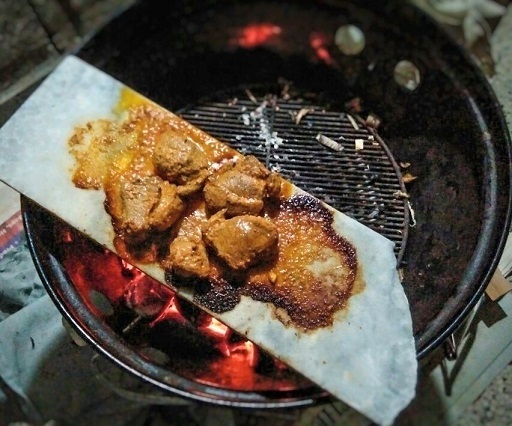 When it comes to serious cooking, cooking mutton poses real challenge. 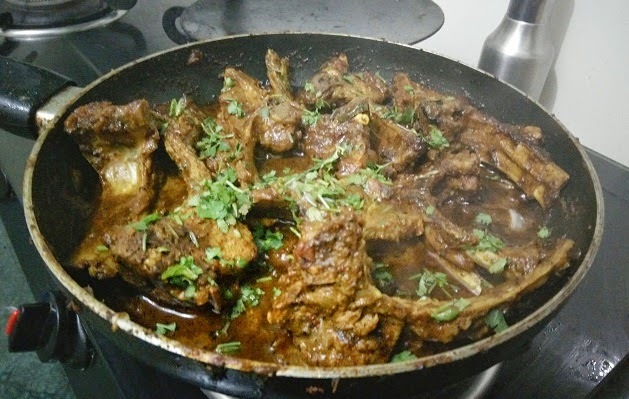 I got this legacy of cooking mutton and well done mutton from my father who would cook up a storm in kitchen every time my mom went out for 2-3 days leaving dad and me alone. He would cook up cracker of non veg dishes, especially mutton. He would just cook mutton slow. That's how you give time for the spices and mutton to bind and get to know each other and end up in Happy Matrimony! Spicy Mutton Korma is one dish like this. This spicy Korma is really special to me and is my 'Save the Day' dish. There is nothing easier than this dish. It's typical Mughali and amazingly spicy. It has ingredients full of flavor and meant to give the best aroma and tingling after taste on your tongue and your drool on your fingers. The mutton will be oh so soft and will just melt in your mouth. Mutton is cooked to melt in your mouth perfection in spicy Indian spices. 3 Table spoons Desi ghee. 10-12 Raisins. This will be to little offset the spice. My father used to makes delicious curry and I would accompany him to meat shop and that's how I learnt how to choose mutton cuts. Yes, knowing what cuts you want is so important when you are buying any form of meat. So, I especially like mutton chaap because it has bone and bone in any mutton dish is what gives you flavors. So, I made this whole dish with only chaaps calls Mutton Chaap Masala. Mutton chaaps, I prefer chaaps in twins meaning two chaaps together.